The current trend of eating a healthy diet has inspired many to switch to organic produce. And while supermarkets now offer organic options, some are taking it a step further and are growing their own vegetables in their gardens, rooftops and balconies. Nawaya, a not-for-profit initiative that promotes true sustainability, organised a workshop recently that introduced yet another possibility to produce your own food: honey. 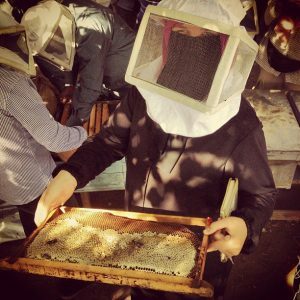 Urban beekeeping is becoming more popular around the world and according to Sara El Sayed, one of the founders of Nawaya; the workshop fits perfectly with the organisation’s goal of bringing people closer to producing their own food. “Bees are vitally important to farming, they are needed to pollinate crops,” El Sayed said. 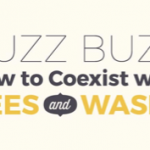 “Keeping your own bees will allow you to have access to your own honey, of course,” she added. Producing your own raw honey is also healthier, according to El Sayed. “Bees collect nectar in an area with a radius of three kilometres so the honey they produce comes from your direct surroundings. The immune system boost that honey provides is greatest when it is directly related to where you live,” she explained. The workshop provided an introduction to the practicalities of keeping bees and how the bees live. “We do not have any in-house experts on beekeeping so we brought in two, each with a unique practice in beekeeping,” El Sayed said. Most honey is obtained by centrifuging the combs, but the honey Siam produces is made a little differently. “He uses the traditional way of crushing part of the wax in the honey, which means some of the pollen and the antibiotic that the bees produce to keep their own kind healthy is part of the honey. This makes it very healthy and a great boost for the immune system,” El Sayed explained. Raw honey is believed to help with a variety of health issues besides strengthening the immune system. It is said to be good for many skin diseases as well. “This workshop was an introduction to what it means to keep bees in an urban environment, how to do it and how to taste the different honeys. We plan to follow it up with how to build and maintain your own colony,” El Sayed said. There are no concrete plans yet to organise the second beekeeping workshop but of those who attended the first one, more than half expressed an interest in having their own colonies. According to El Sayed, beekeeping also serves a greater purpose. 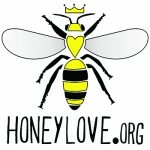 “Besides all the personal benefits we also felt it was necessary to raise the issue of the danger beekeeping is in. Not many people are aware that bees are under threat in many parts of the world due to the use of pesticides and without bees there will be no pollination which means no produce,” she said.